Arsenal striker will be watching the Champions League game against Borussia Dortmund from the bench as he was left out from the squad list by Arsenal boss Arsene Wenger. Olivier Giroud suffered ankle injury in the start of the season was expected to return in January but he recovered from the injury before more than month. The Frenchman played a role from the bench in the last Premier League game against Manchester United. He scored a goal though Arsenal failed to earn a point. The Gunners just need a point to secure a place in the round of 16 of the Champions League. Giroud was not named in the Arsenal squad as he was expected to return later due to which he is ineligible to play but will be playing the knockout stages. Summer signing Danny Welbeck will start once again and Yaya Sanogo could be on bench. While Media are expected to start another attack on Wenger that why Wenger did not add Giroud’s name in UCL 25-men squad despite of knowing that Giroud was not expected to be back in November. 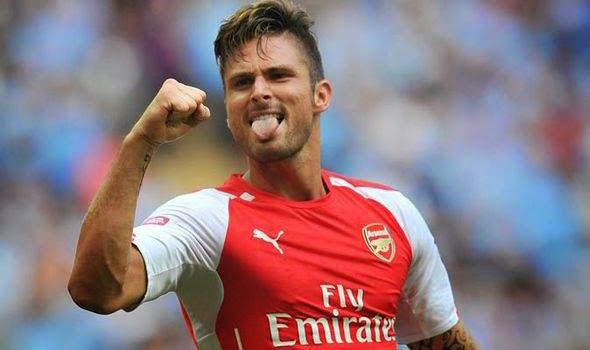 Arsenal will face West Brom this weekend and Giroud is expected to start this game.